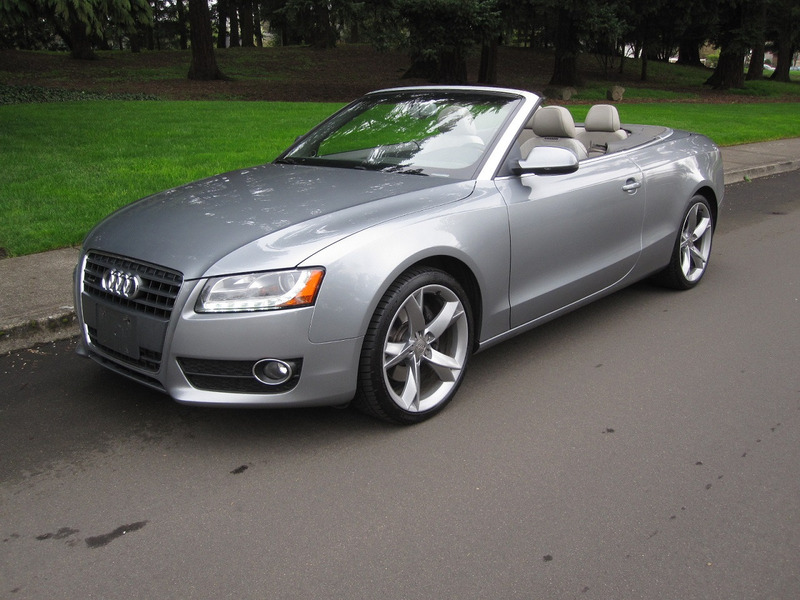 AUDI A5 PRESTIGE MODEL CONVERTIBLE. EQUIPPED WITH ALL WHEEL DRIVE, POWER TOP, A/C, AUTOMATIC TRANSMISSION, NAVIGATION, HEATED AND COOLED LEATHER SEATS, TILT WHEEL, CRUISE CONTROL, POWER WINDOWS, SEATS, AND DOOR LOCKS, ALARM SYSTEM WITH REMOTE ENTRY, BANG & OLUFSEN STEREO SYSTEM, BLUETOOTH, ALLOY WHEELS, AND 73,700 MILES. EXCELLENT CONDITION AND WITH A CLEAN TITLE. TRADES ACCEPTED, MAY BE SEEN AT 3234 SE POWELL BLVD IN PORTLAND. FOR MORE INFORMATION, OR TO SCHEDULE A TEST DRIVE, PLEASE CALL (503) 516-9364.